Bucharest has a vibrant nightlife and its locals like to party until the wee hours of the night. As a tourist, you will never feel alone on the streets of the Old Town which is also the most popular club, bar and restaurant cluster in the city. The area is Bucharest's historic centre where you can still stroll on cobbled streets and admire buildings that have kept a little something of the grand architecture of the past. 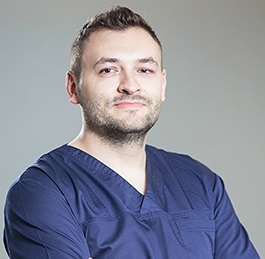 Our team has selected five original pubs and restaurants in Bucharest’s Old Town perfect for visiting while you are enjoying your dental trip to Romania. Arcade Café is located at the heart of the city centre. The venue resembles a Parisian café and it is a good reminder of Bucharest’s old nickname, Little Paris. Visitors have access to three distinct areas: the Salon, the Winter Garden, and the Pub & Lounge. The café also serves international food, with options for all visitors. As one would expect to find at Arcade café, coffees are varied, with prices starting from EUR 2.24. 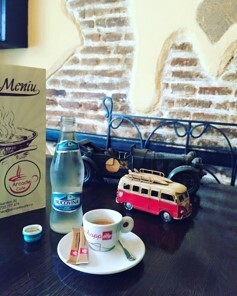 Arcade Café is an ideal “pit-stop” to reenergize with coffee and good food before continuing your exploration through Bucharest's top visitor sites. You can find Arcade Café on Smardan Street, closely accessible from Unirii or University Square. 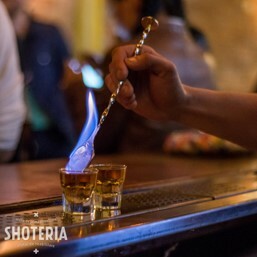 Shoteria is a dedicated bar: you’ve probably guessed it, it serves shots and a very wide range of them indeed. The bar has a unique design and the visitor receives a fair warning right after entering the premises: Shoteria is a prime stop for “alcoholization”. 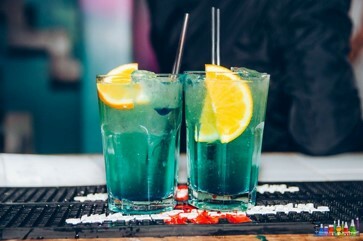 The venue also serves “rehabilitation” drinks, like virgin drinks, fruit drinks or traditional Romanian cures for a hangover like pickles, borscht or water (a more plausible remedy), the main attraction is the considerably large number of alcoholic combinations. Shots start from EUR 2 and they have all sorts of funny or appealing names: Woo Woo Jelly, Fireball, Wonderland, Love in Romania, Medicine or Assisted Suicide. You can find Shoteria for a quick “party boost” on Selari Street. Absintherie Sixtina (translated to a “Sixteenth Century Absinthery”) is, as its name suggests, the place in Bucharest’s Old Town that celebrates the drink known as absinthe or the “green fairy”, as it is known in the literature. 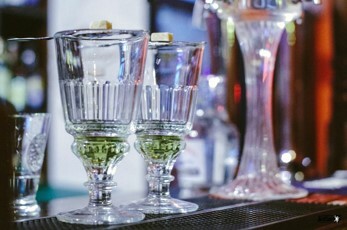 In the Absintherie, the drink is served and honoured as it was supposed to: slowly, while waiting for a sugar cube to dissolve inside the glass of high-quality absinthe. This unique bar also has other exquisite alcohol options, ones not usually found in other bars: a selection of Belgian and German beers, various types of whiskey and rum and absinthe-based cocktails (of course!). Absintheria Sixtina is located on Covaci Street. After a stop to meet the green fairy, you might want to grab a quick and delicious meal. Fast food chains should not be an option, especially since the Old Town is full of restaurants. Marin Seafood Grill serves delicious seafood at very accessible prices. The food is fresh so you don’t have to worry about eating something like mussels or shrimps. Fish is also an option and the main dishes are served with French fries, fresh or grilled vegetables. All the dishes come with complimentary sauces and olive pita bread. 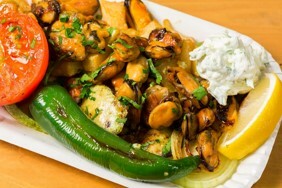 Prices are very accessible at Marin Seafood Grill: one platter of mussels with French fries costs a little below EUR 5 while a mixed platter of mussels, shrimp and vegetable will cost EUR 6.50. You can taste delicious seafood in the heart of Bucharest on Gabroveni Street. Laboratorul de Cocktailuri is the Cocktail Laboratory and a place where you have the unique option of… concocting your own drink, with the help of a trained bartender, of course. Novelty is the word that best describes a drinking experience at the Laboratory. The bartender will be kind enough to invent your own signature cocktail. The venue also hosts a number of events and parties. Cocktails start from EUR 4.90 and your own signature cocktail will cost around EUR6. You can mix your own blend of fine spirits on Stravopoleos Street. Bucharest has many more other options for eating and entertainment. 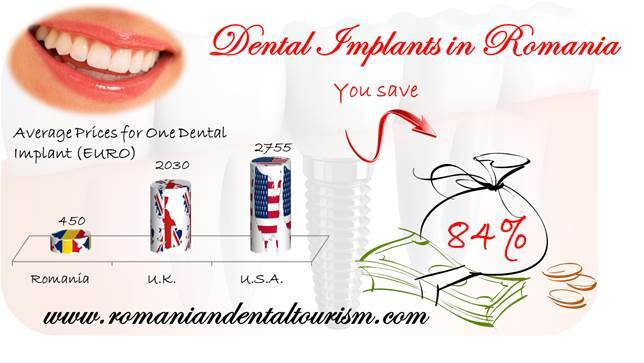 If you are in Romania for a dental treatment you can take your time to explore all of these and more.